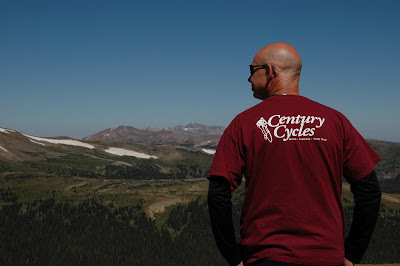 Mike "Petch" Petcher, general manager of Century Cycles Medina and star of our "Petch says" ads in The Gazette, is photographed in Rocky Mountain National Park in Estes Park, Colorado, where he and his wife Debbie celebrated their 30th wedding anniversary last month. (Who knew they allowed 12-year-olds to marry?!) Happy anniversary, Petch and Debbie! 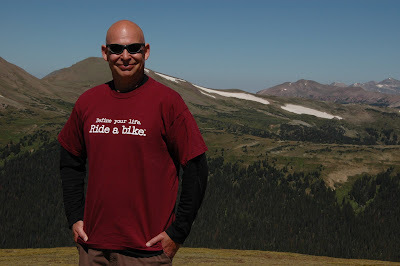 Got a pic of a loved one wearing his or her "Define your life" t-shirt? E-mail it to info@centurycycles.com.